I do not hide the fact that I am a little embarrassed by the thought that you have chosen a wrong person to speak on Ganesh Chaturthi this evening. I know-none among you expects from me a song in praise of the traditional Ganesha, for you are well aware of the fact that I do not believe in the existence of any such Ganesha as is described in the puranas. Even so, I do believe in the Real Ganesha, whose description you may find both in Rigveda and Yajurveda. Let me request you at the outset that you may accept my words in the sense I give them and that you may not feel offended if something that is not in consonance with the traditional belief escapes my lips. I consider any opportunity to sit together, with seekers of Truth, exchange views and add something to our knowledge as a pleasant occasion. I thank those who have been instrumental in providing me with this opportunity. This is a clear picture of Ganesha. He is the Most respectable Lord and protector of all that comes under perception. He is the One knower of Truth in its entirety among truth-seers. He is the Most Praiseworthy and He is the Most Brilliant among those well-versed in the Vedas. ”(Havaamahe) we invoke, (tvaa) Thee, (Ganapatim) the Most respected Lord and Protector, (Ganaanaam) of all that is perceivable; (tvaa) Thee, (Priyapathim) the dear Lord and Protector, (Priyaanaam) of all that is dear; (Havaamahe) we invoke, (tvaa) Thee, (Nidhipatim) the Immanent Lord and Protector, (nidheenaam) of all hidden treasures. (Vaso) Oh Real Wealth! (mama) Thou art mine. (ajaani) Let me know Thee, (aa garbhadham) the upholder of the graspable universe. (Tvam) Thou, (aa ajaasi) knowest from all sides, (garbhadham) the universe that is the repository of the creative energy. With the exception of the last two sentences, the mantra needs no further explanation. In addition to what has been said in the rigveda mantra, it is said that Ganapathi is the Dear Lord and Protector of all that is dear, and the Immanent Lord and Protector of the hidden treasures. In other words, Ganapathi is the Sole Lord and Protector of the whole universe—known and unknown, seen and unseen. In the last two sentences, the word ’garbhadha’ is used both for the creator and the creation, because in both is found the energy of creation. I have heard people giving peculiar explanations for the curious figure that the traditional Ganesha cuts. They say—the trunk symbolizes ‘Omkar’, the elephant head signifies a large amount of brain, the ‘trishula’ directed against the head indicates control over the thought, the pot bellied—the bulging greed for worldly pleasures, the snake—the danger that surrounds such pleasures and the mysterious mouse—the intriguing fickleness of mind and so on. Such explanations can be given for any odd figure on Earth, but, they cannot quench the thirst for knowledge that a Truth-seeker feels intensely. .
After all, these imaginations cannot lead us to salvation. (”Tameva viditvaa) By Knowing Only Him, the man, (mrityum ati eti) crosses over death. (Na vidyate) There is no, (anyah panthah) other way, (ayanaaya) for spiritual progress. When this is the case, how can we first imagine peculiar forms of the formless God and then try to find all sorts of explanations for them? Can we hope to achieve moksha by this unvedic and irrational process? We are all believers in Vedic Dharma. It is our sacred duty to strictly adhere to the principles as enjoined upon all of us by the Vedas. Being human beings, endowed with a capacity to understand, discriminate and conclude, we should not blindly follow anything that passes for tradition. There are traditions and traditions——good and bad. A bad tradition does not turn good simply because it is antique; nor does a good tradition turn bad simply because it is novel. (Marutah) Oh mortals! (navedasah) You are all possessors of scant knwoledge, (vishvasya tasya havata) Listen to all that, (yat poorvyam) which is ancient, (cha) and, (Yat nootanam) which is modern, (Yat uchyate) which is spoken, (cha) and, (Yat shasyate) which is given as a Scripture. (Vasavah) Oh residents of the world! (Rathaah) Be Progressive. (Avritsata) March on, (Shubham yaataamanu) in the wake of those who move towards well-being and prosperity. (“Mitraavarunaa) Affectionate woman and strong willed, affliction-removing man! (Yuvam) Both of you, (vasaathe) put on, (peevasaa vastraani) strong clothes. (Yuvoh) your, (manthavah) thoughts, (ha) similarly (sargaah) actions be,(achchidraa) free from flaws. (avaatriratam) Reject, (vishvaaanritaani) all untruths. 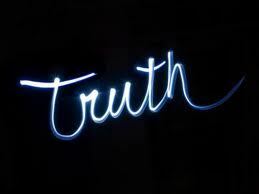 (sachethe) be united with, accept,(ritena) Truth. I do not propose to add anything more to what is said in this mantra. It is self-explanatory. If I have given some food for your thought, I should be satisfied that l have done something useful. May Ganapathi, the Omni-Present, Omni-Scient, Omni-Potent and Formless Lord and Protector of the universe shower His choicest blessings on all of us, that we may ever be prepared to reject untruth and accept Truth.